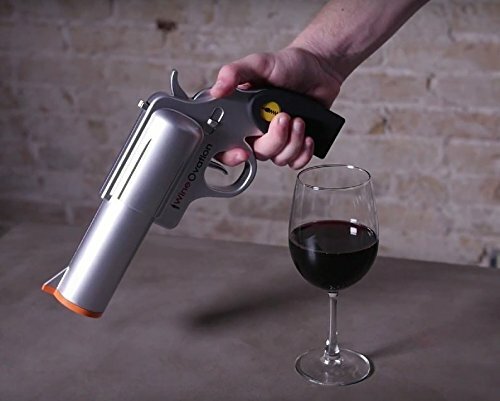 Powered Wine Opener Gun - Moar Stuff - You don't need it but you know you want it. Hands…err… bottoms up! 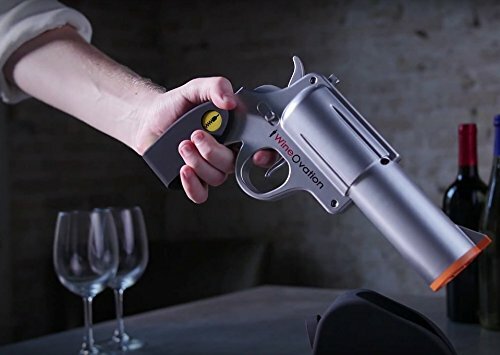 This powered wine opener, in the form of a gun, is a fun way to keep the party going. 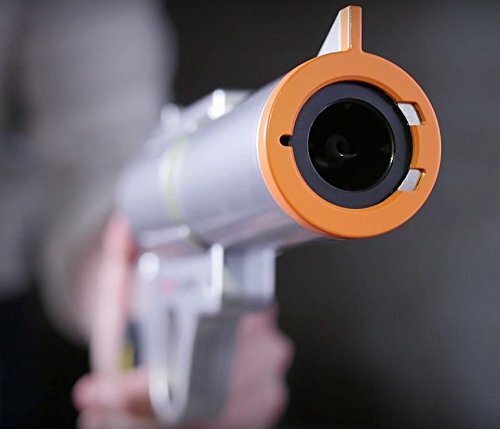 At “gunpoint”, if necessary. 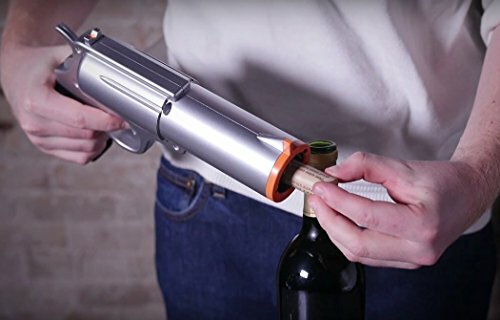 This rechargeable six-gun shaped electric wine opener is a great way to shoot bottles off the shelf. 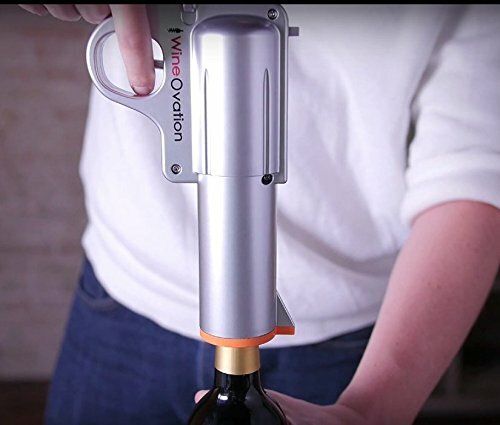 It can open up to 30 bottles on a single charge (if you need more than that in a single sitting, talk to a professional – seriously). 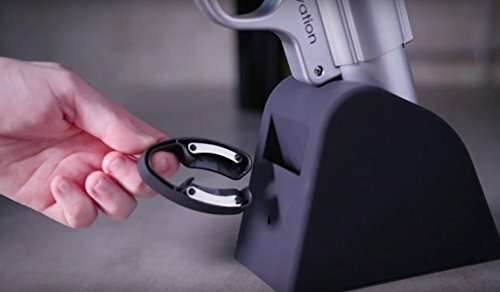 With the included foil cutter, it’s a simple matter of “point and shoot” to keep the vino flowing. 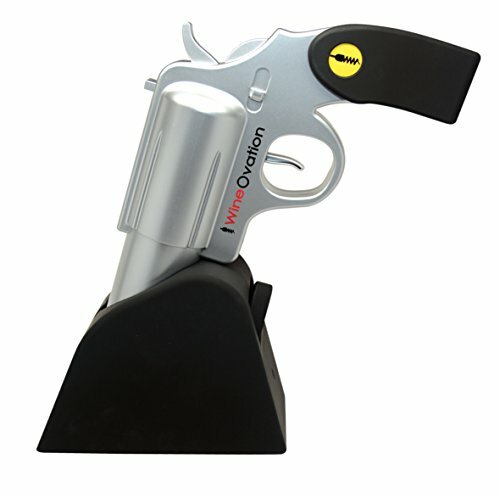 Made by WineOvation, it comes in two styles (simulated steel, and pink) along with the recharging base.